Ashampoo Photo Commander 16 Giveaway Contest! 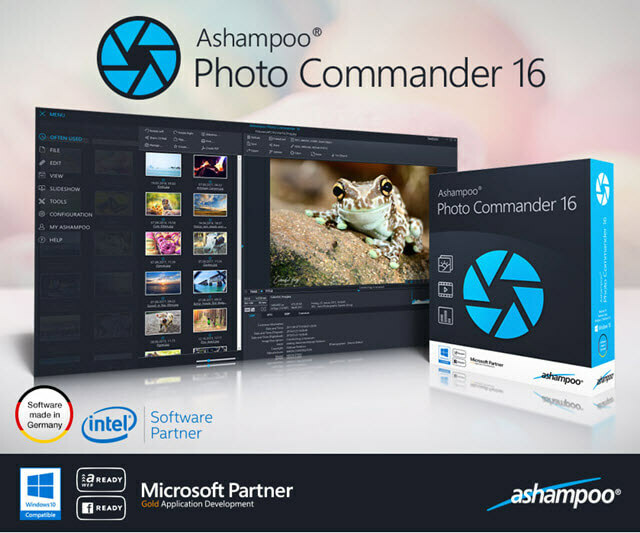 Ashampoo has generously offered DCT readers a chance to win a license for their newly released Photo Commander 16. We have 10 licenses to offer each valued at $49.99 (US). For some services an Internet connection is required. An Internet connection may be required to verify the serial number during usage of certain features. If you would like to see the full list, then check out Photo Commander 16 Details. The list is staggering with many new features having been added in this latest version. We’d appreciate it if you’d take a moment and submit a comment telling us why you’d like to win Ashampoo Photo Commander 16. However, submitting a comment is not required to enter this contest and will have no bearing on your chances. Thanks to Ashampoo and DCT for this amazing contest. I have so many photos that I need to “modify” in one way or another, and this software would be the answer to my prayers. I’ve used previous versions Ashampoo Photo Commander (using 15 now) and would love to have version 16. Great product! I am an ardent fan of Ashampoo and am always looking for the latest of programs. Free, if possible!